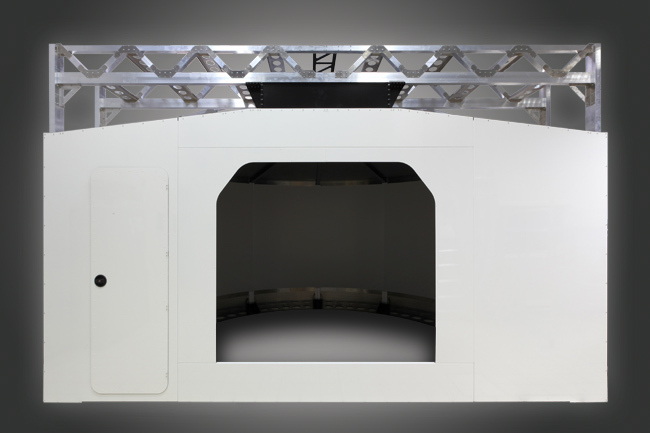 Robust aluminium structure for 180 ° video projection. Equipped with a semi-circular screen with special anti-reflective treatment, predisposition for 3 ceiling video projectors, entrance for inspection and maintenance. Heavy-duty steel and aluminium structure, embodies 180° projection screen and x3 videoprojectors support.